Aaron Gwin, Neko Mulally and Jack Moir ride their new Intense M29 in the awesome downhill trails of California in the United States! 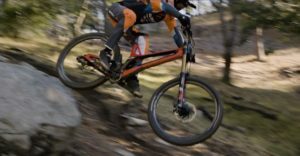 Is Aaron Gwin ready to shred the UCI World Cup 2019 season aboard his new downhill bike?? Watch and share the video of Intense Factory Team Camp! With the win he takes over second place in the 250SX West Region Point Standings, moving up to just three points behind the leader.